I hope everyone had a great weekend! I got a ton of blog content done which I'm pretty pumped about and also got to spend some time with my family and my cute niece and nephew. 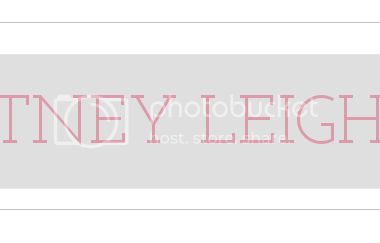 All around it was a great weekend for MsCourtneyLeighB! Up today is one of my favorite Fall staples from J.Crew Factory. I know many people who get hesitant when it comes to buying things from the factory because they think they aren't made as well as regular J.Crew. 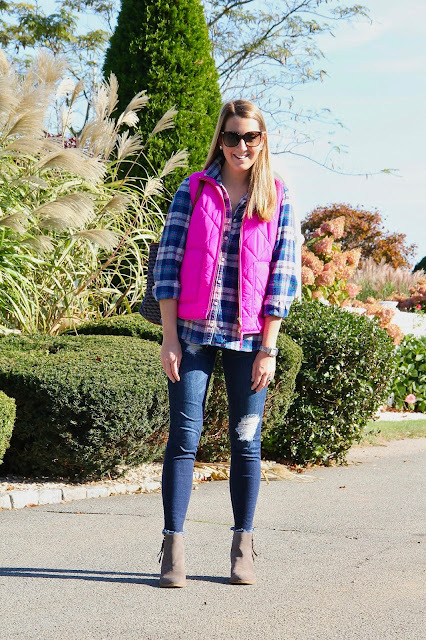 Sometimes I do have to agree that the factory pieces are bit more rough and less comfy than the regular J.Crew stuff, but this vest is an exception! 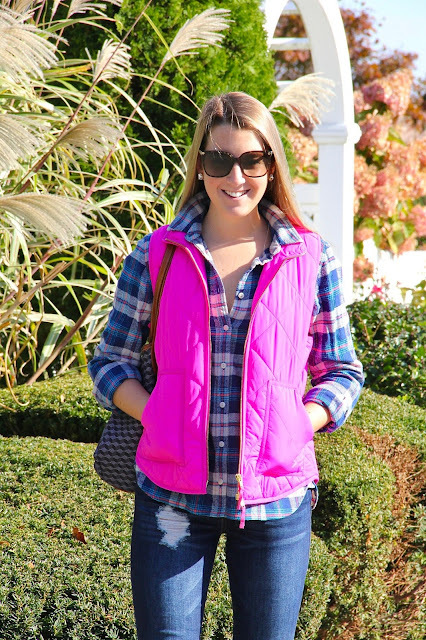 I have two of these puff vests from regular J.Crew and two from J.Crew Factory and I honestly cannot tell the difference. 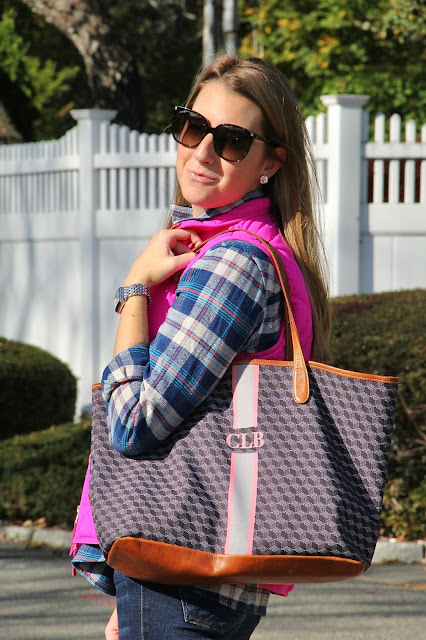 This vest is SUCH a good purchase for the Fall and Winter season and truly can be worn so many ways. I have been known to dress this down and wear it over a Vineyard Vines Shep Shirt and some Lulu Lemons, or dress is up and wear it over a light sweater and jeans to transition into a new season. Right now the hot pink color is sadly sold out, but there are still plenty of other colors to choose from including a pretty "bleached sand" and of course the staple "black." For being under $40 you really can't go wrong. I promise you that you'll get lots of wear out of it and will probably be going back for another color in no time!